UPDATED 9:15 a.m. Monday – timing revised. 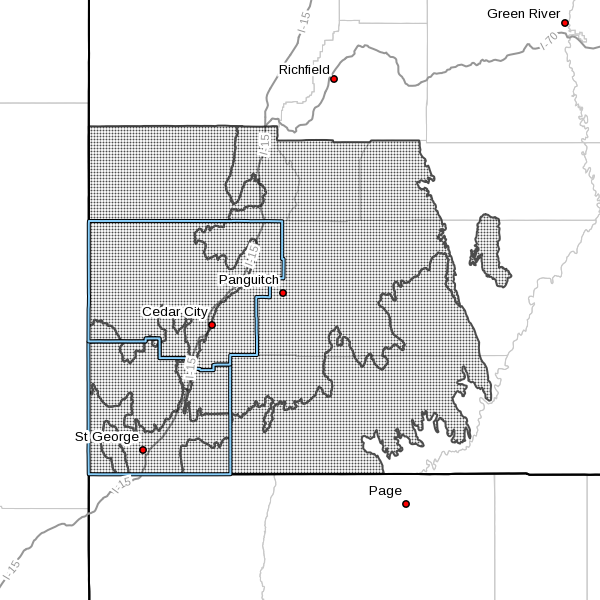 ST. GEORGE — The National Weather Service in Salt Lake City has issued a wind advisory in effect from from noon to 10 p.m. Monday. Southwest Utah, Utah’s Dixie and Zion National Park, south central Utah, the southern mountains, including the cities of Beaver, Cedar City, Milford, St. George, Kanab, Escalante, Loa, Panguitch and Bryce Canyon. Southwest 20-30 mph gusting up to 55 mph. Ridgeline gusts may exceed 65 mph. Winds will develop by Monday afternoon, according to an updated advisory issued by the Weather Service Monday morning. Strongest winds are expected late Monday afternoon through early evening, diminishing late in the evening. 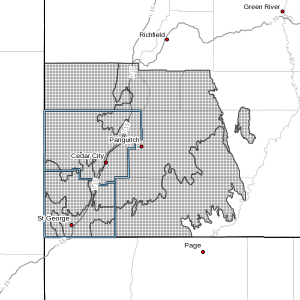 Strong crosswinds may affect travel on east-west routes including state Routes 21 and 56 and Highway 89 east of Kanab. Operators of high profile vehicles and those towing trailers will be especially affected. Wind sensitive operations may be impacted. A wind advisory means that sustained wind speeds of at least 31 mph or gusts of 45 mph are expected. Motorists in the advisory area should be prepared for sudden gusty cross winds which can make driving difficult.